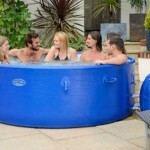 Most inflatable hot tubs on the market are made from robust rubber material, however like a bike tyre you may occasionally get a puncture, be it from debris or just wear and tear from use. 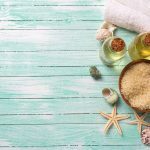 If you get a puncture or spring a little leak then there is no need to worry, you can easily and quickly patch up, and repair your spa using the WET or DRY Swimming Pool Liner Vinyl Repair Kit Inflatable Patch which is ideal for this. The great thing about this repair kit is that you can patch up the leak with or without the hot tub filled. 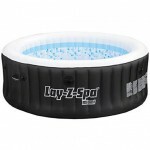 This means there is no need to drain the whole spa if the leak is at the bottom, you can easily repair this with it filled. This saves having to drain all the water, fixing the leak and then refilling and heating it all up again. We recommend this product and it works great, and is also good value, it is worth purchasing a couple just incase it happens again so you can quickly fix the leak.